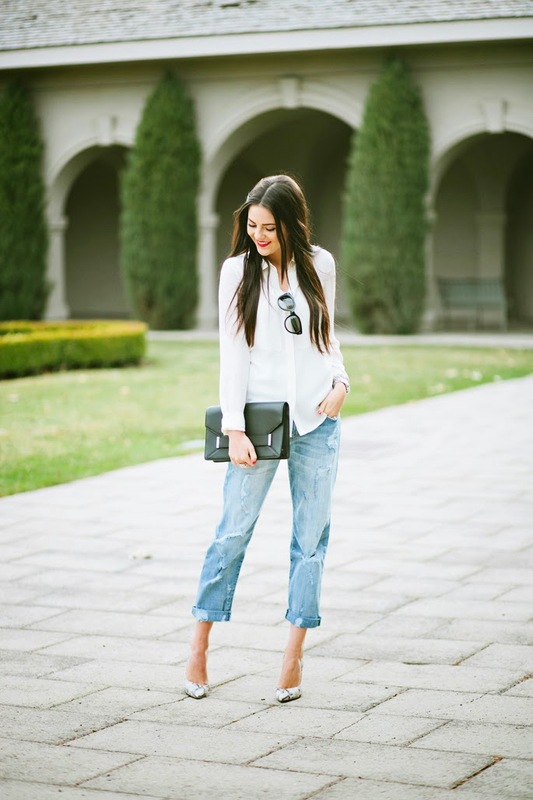 Boyfriend jeans have been a style I've been trying to master for the last few seasons. 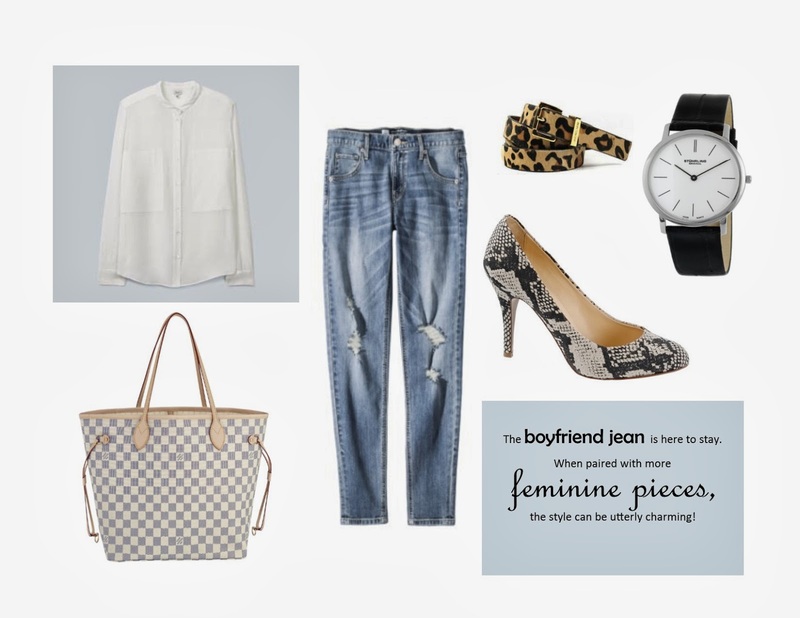 The boyfriend jeans I have previously tried on were usually too baggy, too boy-ish or just plain expensive for a style I'm not too sure is going to last very long. Enter Target, I was on my lunchbreak this past week and made a quick stop for new ponytail elastics, well if you are like me, when it comes to Target, I have a plan to purchase one item but come out with a bag full of a few items, well this last visit was really exciting because I finally found myself a pair of boyfriend jeans that I absolutely ADORE!! And the price point was beyond reasonable, $29.99!! If you know me well, my style is pure high-low: more expensive investment pieces with less expensive "trendy" items, so here is how I styled it for casual friday at work today, what do you think? Go check out Target for these incredibly stylish, comfortable and cheap boyfriend jeans.